« Bjarke Ingels Group – BIG….how they do it? Zaha Hadid & Frank Lloyd Wright ….Do aspirations for reality begins in our drawings? In my previous posts I mentioned the need to develop individual design tools as an important part of the design process I call “Conscious Inspiration”. Zaha Hadid’s sketches and drawings are a major and familiar tool Identified with her exclusive architecture. In this post I will share with you Zaha Hadid’s Inspiration Sources for her unique sketches and drawings. “I’m not sure that the use of softwares is equally favorable to the brain. It may not be coincidentally…. the spiral tower is designed in Barcelona Spain. 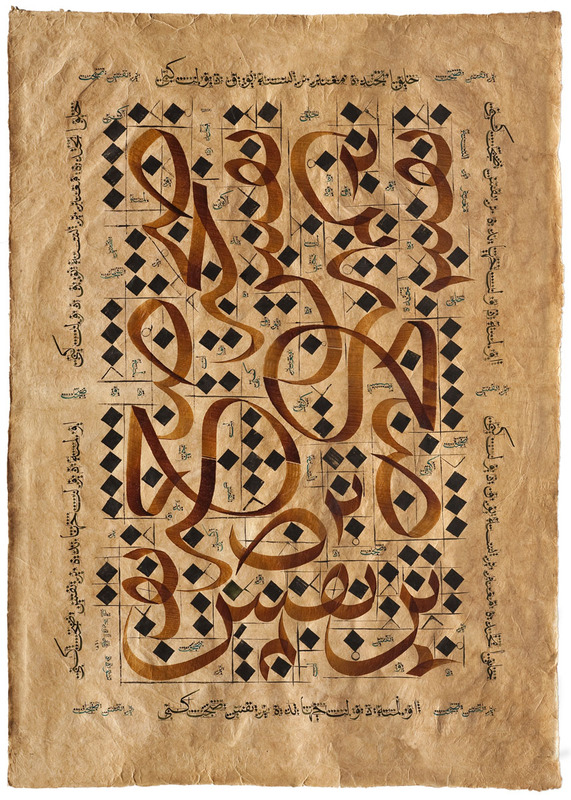 Considering Spain was ruled for – in some parts – up to 800 years by the Islamic Moors. You are invited to visit a previous post of mine, dealing with Zaha Hadid‘s inspiration sources from the environment in which she plans. 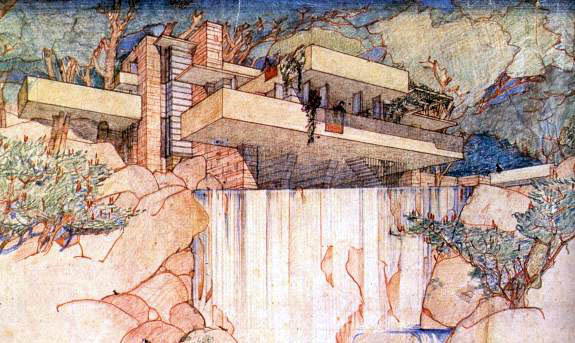 Another Master whose drawings have inspired generations of architects, Is Frank Lloyd Wright. The following Image is Frank Lloyd Wright‘s perspective for one of his inspiring buildings, the Kaufmann House, Known as the “Falling water“. 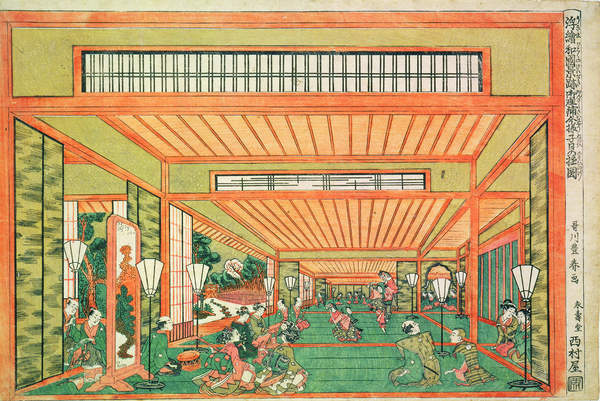 Do you feel the impact of the Japanese Print on Frank Lloyd Wright? It seems like it enhances the Kaufmann House design. “If architects wish to avoid obsolescence, they must reverse the de-politicization of architecture by the dominance of the beautiful, but meaningless, render. As architects, our aspirations for reality must begin in our drawings. In other words our drawings, have an important role (a powerful tool) in our design process…. 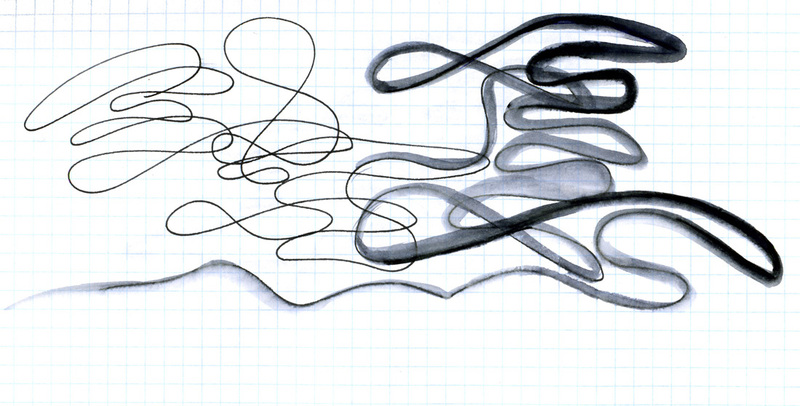 you are invited to visit my previous post examining Frank Gehry’s sketches…. This entry was posted on May 11, 2012 at 12:34 pm and is filed under buildings, public buildings with tags Arabic-calligraphy, CONSCIOUS INSPARATION PAGE, Conscious Inspiration, Conscious Inspiration Method, drawings, Falling Water, Frank Lloyd Wright, individual design tools, inspiration sources, Kaufmann House, Lebbeus Woods, Livius' Notes, spiral tower, spiral tower in Barcelona, Zaha Hadid. You can follow any responses to this entry through the RSS 2.0 feed. You can leave a response, or trackback from your own site. Thank you for relevant information…. I thank you, Mr. Inbar, for the quote of my post in your very interesting blog (that I will visit often by now). I note that our investigations are similar: you explore the Conscious Inspiration in Architecture and I the Drawing as a Creativity tool in different arts. Moreover, I think your involvement to a methodology of Conscious Inspiration has a great ethical value, because today we have replaced our Mind Tools with the Softwares Tools (this is most evident in the Digital Natives generation) and this produces cloned architectural projects, sons of softwares menus. Today a lot of architecture has lost its materiality (= its umanity), to become an aseptic materialization of the digital renderings (that’s nowadays the Reality has to look like the Invention and no longer the reverse). About Zaha Hadid and Frank Lloyd Wright (two of my favorite architects), I think it’s interesting to note their inspiration is the result of informations (from the Arabic calligraphic Art and Japanese Art) filtered by their “forma mentis” – that’s their mindset –Zaha Hadid has a degree in mathematics and Wright had attended the Madison faculty of Engineering. This explains why, before them, other architects have inspired by the same source, but producing only eclectic architecture, not powerful works such those of Hadid and Wright. With your well-chosen words: Knowledge + Tools. I’m planning a post about the Architects mindset, but I will write it as soon as I finish a current work for a factory. Best regards. I realized that we are examining similar issues … I must say it made me very happy….